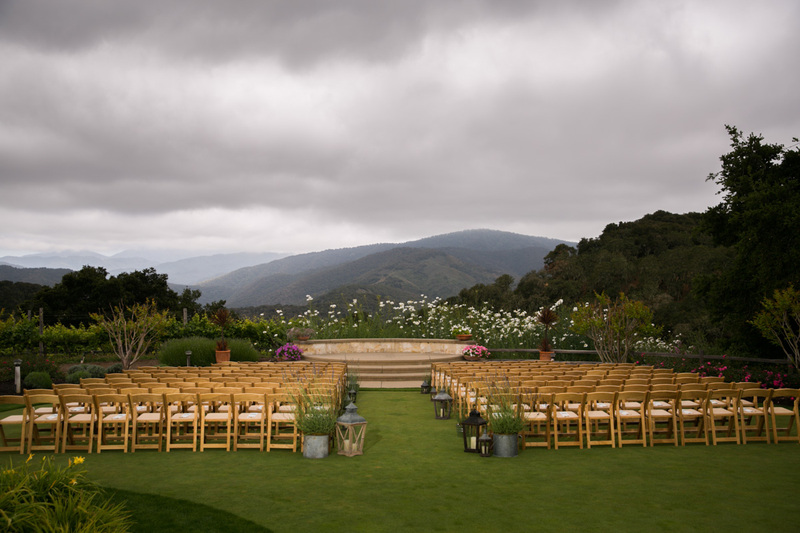 Tucked away in the rolling hills of Carmel Valley, historic Holman Ranch provides a unique and memorable setting for a wedding.With its charming gardens, stunning mountain views and serenity, this private estate affords old-world charm while providing modern day conveniences. This impressive property includes a fully restored stone hacienda, overnight guest rooms, vineyards, olive grove, horse stables and a tasting room where guests can sample our wines. Holman Ranch is fa wedding venue ull of romance and history. It is rustic and sophisticated, secluded and amazing. This stone hacienda offers the charm of its native gardens, the breathtaking vistas from every angle, the wonder of its olive groves and vineyards as well as the serenity and privacy of the historic estate itself.